Steven Colbert’s interview w/ Lawrence Lessig has been sited as definitive proof of someone intelligently trashing Lessig’s beliefs. The above question from Mr. Colbert during the interview with Lessig should immediately let the viewer know that he is simply parodying the right wing pundit buffoon that he normally does on his show. When Colbert says “copy written” his opinion should be thrown out immediately. He’s smart enough to know that the term is actually “copyrighted.” The act of writing on Lessig’s book cover with a marker and drawing Snoopy on the inner pages is clearly proving his point of benefiting from a remix. He goes on to ironically dissuade people from remixing this very interview to be used in dance clubs. Here is just one remix I found on YouTube that Mr. Colbert specifically asked his viewers to not do. Notice that it has over 100,000 views. I’m confident in my belief that he specifically asks viewers not to do something so he can distance himself from any legal ramifications that might crop up. In this sense, asking viewers to not do something is actually asking viewers to do what he’s asking them not to do. Colbert does make the point that Congress hasn’t passed legislation and not a lot of people are being prosecuted, but the goes on to posit we should all just forget about it. Therein lies the point that Lessig – and Colbert by way of irony – are actually making. Should we just forget about things that are not on Congress’ list of things to do because people aren’t being prosecuted? It’s the system that has this possibility of punishment that we should seek to reform. The fact that 70% of Americans are technically guilty of copyright infringement should send alarm bells ringing for everyone. Even though companies aren’t prosecuting these people we should still work to change the law, because the fact remains that some people are being prosecuted. The fact that Lessig is on the front lines of this battle is good. Mr. Lessig should be commended, not derided. Lessig elucidates his point in his book Free Culture. “The seventh-grade honor student was…the first to settle with the record labels, which agreed…to drop their case against her in exchange for $2,000 and an apology. [Her] predicament landed on the front pages of New York’s two leading tabloids… and lured an encampment of reporters to the Manhattan apartment where she lives with her mother and 9-year-old brother. How does that make you feel about this law? Does it sit right with you? Do you think it is justifiable that the RIAA sued a youngster for simply downloading songs that she liked? Do you see any possibility of her making money from this “illegal” downloading? I, for one, do not. I believe it is deplorable for a massive organization like the RIAA to sue a young girl and demand an apology. If ever there were an example of bullying, this is it. Lessig explains in his book that the practice of “stealing” a copyrighted work via peer-to-peer sharing is starkly different as well. 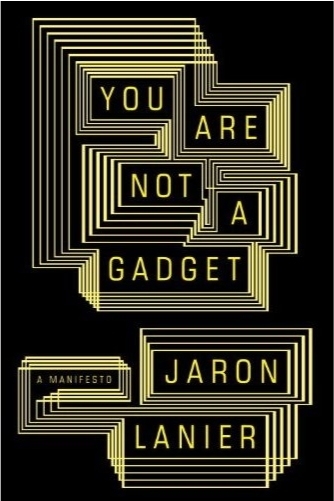 Jaron Lanier offers his own idea of how we can make this work with a system of micro payments. I think Lanier’s advancement of Tim Nelson’s idea of micro payments is a brilliant idea. I hope the Mr. Lessig would feel the same way. Based on Lessig’s book, I don’t see any evidence that would make him the least bit opposed to Lanier’s idea. Some people like David Karpf think of Lanier as a “curmudgeon” after reading a biographic article in the New Yorker. Furthermore, Karpf thinks Lanier is being a “myopic technologist.” I’d also like to point out that Karpf — or someone he knows — has picked out the exact same WordPress blog theme as I have. Well done. Back to Karpf’s theory on Lanier being a “myopic technologist. I don’t agree. I think Karpf is reading too much into Lanier’s writing style, especially when he calls it “muddy” and derides Lanier’s penchant to quickly jump from one subject to the next. As a technology layman, I enjoy Lanier’s writing style. He discusses such heady, complex issues that I’m fine with him only using a couple of pages to explain one argument. It allows me truly digest it and read it again if I don’t quite grasp it on the first time through. 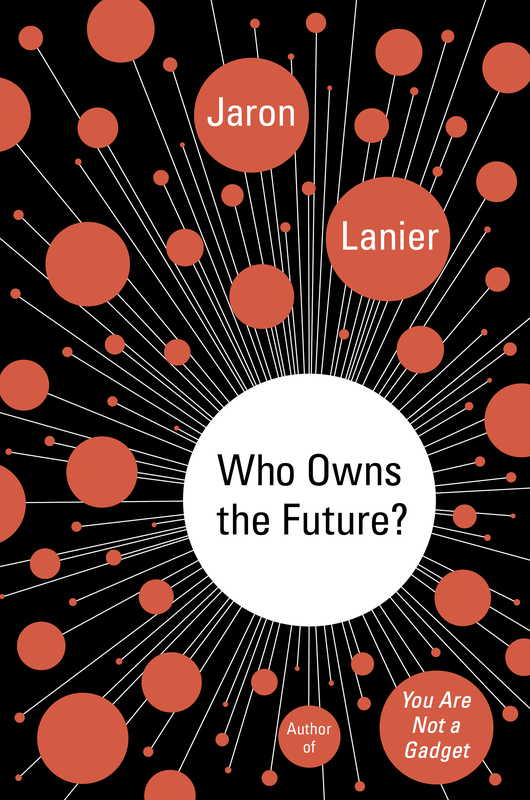 Lanier’s books You Are Not a Gadget: A Manifesto and Who Owns the Future are lovely books. The same goes for Lawrence Lessig. 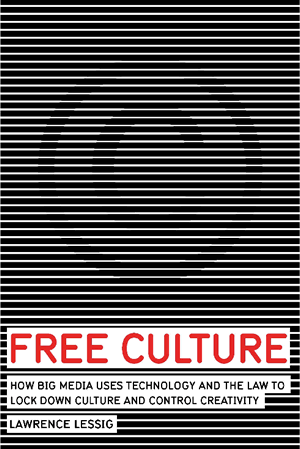 I’ve read Free Culture, but not his other works. In my opinion, both men are brilliant men with erudite evaluations of copyright law. This entry was posted in The Freshness by Brandon. Bookmark the permalink.